Grilled Halibut with Hazelnut Crust makes a quick and easy dinner to serve your family as it is so easy to make and so delicious. Halibut is a rich flavorful fish. The hazelnut crust is a unique contrast and adds a complex texture and taste to this dish. Preheat oven to 350 degrees F. Lightly grease a 10x15-inch baking dish. In a medium bowl, add 1 egg white; beat lightly. Stir together the chopped hazelnuts, 1 tablespoon bread crumbs, parsley, pepper, salt, orange zest, and vermouth; set aside. Place remaining bread crumbs on a large plate suitable for dredging. In a shallow pan or pie plate, lightly beat remaining egg whites and milk together. Place halibut filets, one at a time, into egg whites to coat well, then press each side of the filets into bread crumb mixture to coat well. Lay prepared filets well apart on the prepared baking dish; crumble the hazelnut mixture over the top of each. 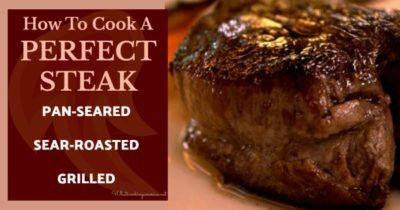 In a small bowl, combine melted butter and white wine; drizzle over top of the filets. Cover barbecue with lid, open any vents, and grill the prepared halibut 8 to 12 minutes, uncovered, or until a meat thermometer registers an internal temperature of 140 degrees F (halibut will be slightly opaque in thickest part). Remember the halibut continues to cook after it is removed from the heat source. Carefully remove halibut from pan and transfer onto individual serving plates. Serve with lemon wedges.